Most people who lose weight will find it again. They will lose it again and then find it again. It’s a terrible cycle that must be broken once and for all. I’ve mentioned in earlier blogs that I recommend books from Bill Phillips to help you with an exercise plan and learn how to eat for life. His plan works. He’s done the research. Buy his books and follow the plan. During the process of releasing the weight once and for all you will also have to learn how to motivate Yourself. This is Part 2 of things you can do to motivate yourself. Make a notepad with a photo of yourself on it! It’s as simple as using the Shutterfly app on your phone. This one was free for me to do. It’s pretty cool. I know I know, some people will laugh at this idea. Big deal! There is something powerful about writing. There is something powerful about writing positive thoughts to yourself. There’s something powerful about looking at a picture of yourself in great shape, or a time when you were in great shape. Find a photo of you! Then make your own notepad. Use the notepad to write down a list of things your grateful for everyday. Or maybe write down a phrase like 50 times that inspires you. Let it sink in your mind. 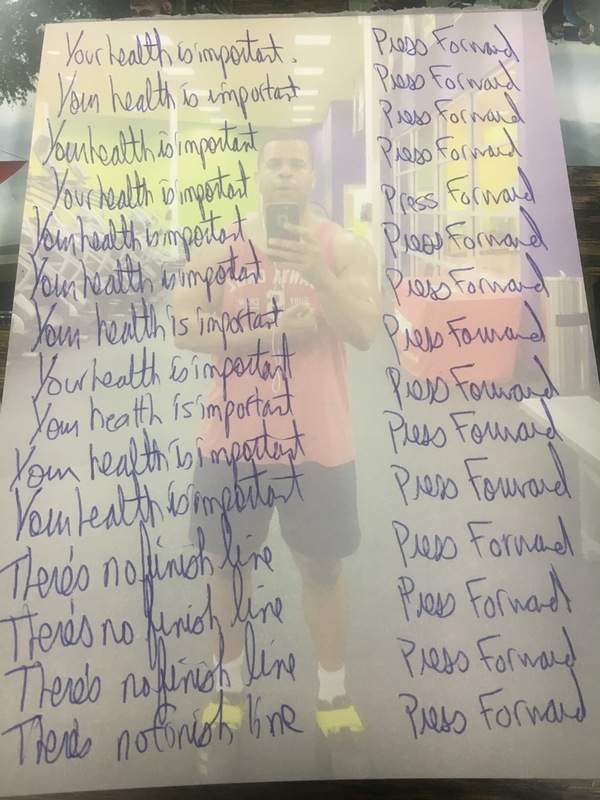 Write yourself a letter about how far you have come, and your WHY behind your transformation. When you release the weight once and for all, find something to do to keep yourself motivated and focused on never going back.